During this school year, teachers introduced many online resources that students apply to most of their school work, such as Google Documents, Class Jump, Weebly, and Google Classroom. With all these resources, it’s time for a change in the way communities make up school days. A teacher could easily send a document to a class as an assignment and create a message board in order for students to communicate with their peers outside of their classroom environment. Other applications are Skype, FaceTime and OoVoo. These could be used for class discussions on topics through video calling. Teachers are able to communicate with their students through these applications providing an alternate classroom learning setting. In the article, “Schools use novel way of making up snow days,” by Kathleen Conti (Globe Staff – April 18, 2015), alternative ways of making up snow days were discussed, such as using out of school activities as structured learning and assigning students online work. This article opened up my eyes as to how schools could make up snow days. I strongly disagree with how our school days are added to the end of the year. Out-of-school activities or structured learning is a great idea because usually when visiting an historic site or a museum, students retain more information than listening to a teacher lecture. Likewise, students should be able to make up snow days by completing online work. Many people do online schooling, so with all of the applications introduced to students online, this should allow students to make up missing school days. Keeping students late into June will not motivate them to learn; rather they will have to sit in a classroom with no air conditioning where they won’t be able to concentrate due to heat exhaustion. 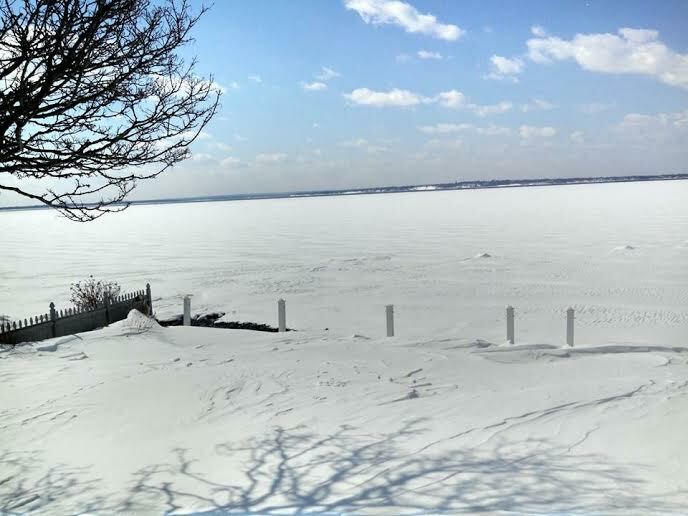 This entry was posted in Home, In & Around AHS, Teen Interest and tagged 2014-2015, Abigail DesVergnes, AHS, Attleboro High School, school, Snow on May 29, 2015 by abeeahs. Reporter Katheleen Conti in The Boston Globe on April 18, 2015 wrote about the idea of schools using out-of-school learning to make up snow days. This involved students completing assignments at home via the internet or attending educational field trips. It is an interesting new idea that would allow the momentum of the academic year to continue. However, students may be less willing to complete assignments on their own time. Many students associate snow days with vacation time and doing nothing. Not a lot of students want to do work on their day off. An option for Attleboro High School (AHS) to make up snow days is to remove February vacation from the calendar. The amount of missed school days in the winter was so high this year that felt like a vacation on its own. A separate February vacation was not necessarily needed, since it, too, consists of five days off from school. 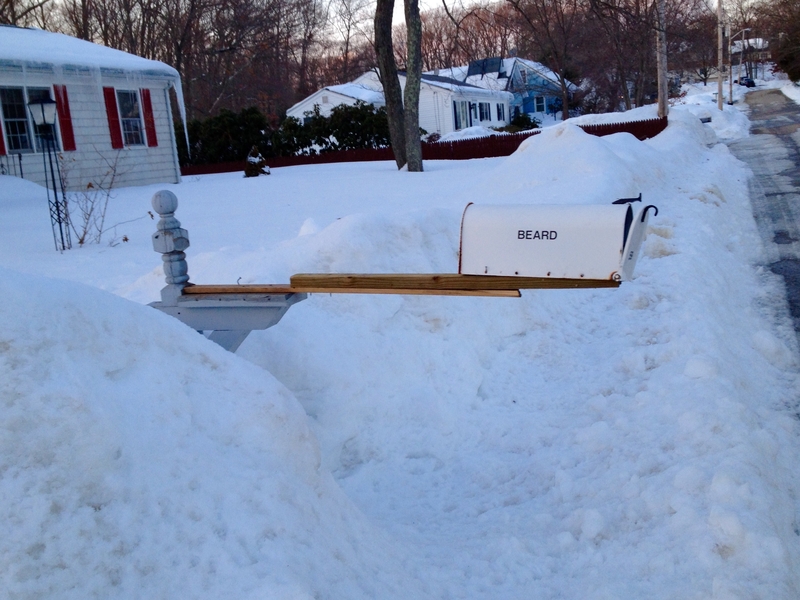 By the end of winter, Attleboro had used seven snow days. Another option is to hold class on Saturday mornings. These could be half day sessions because many people have separate obligations they need to prioritize on the weekends. If a Saturday session was held once a week for seven weeks, school could have released at the originally planned date. Even if AHS students attended class on Saturdays for a month, school would then only be extended three days. Students may still protest by claiming class on a Saturday interferes with prior engagements. To sidestep this obstacle, AHS could schedule classes one Saturday every month. From January through May, there would be five Saturday sessions. This raises the issue of teachers and staff adding additional days to their workload. Students are not the only ones with a life outside of school. Teachers are busy with their family, extra schooling and second jobs. Attleboro Public Schools could pay teachers and staff who work extra Saturdays a per diem rate. This entry was posted in Home, In & Around AHS, Teen Interest and tagged 2014-2015, AHS, Allison Beard, Attleboro High School, Snow, snow day, Winter on May 29, 2015 by abeeahs. Alt-J is an indie rock band, formed in 2007, from Leeds, England formed by Gwil Sainsbury (guitar/bass), Joe Newman (guitar/lead vocals), Gus Unger-Hamilton (keyboards/vocals), and Thom Green (drums). Their first album An Awesome Wave, released in 2012, won the 2012 British Mercury Prize; a music prize awarded to the best album of the year in the United Kingdom. Their second album This Is All Yours was released in 2014 and went right up to number one in the UK. The song is assumed to have many different interpretations, such as being about cannibalism. “The song is about liking someone, who you want so much that you want to hurt yourself and them, as well,” Newman explained to Interview Magazine. “We related that idea to Where The Wild Things Are, which we all grew up reading, where in the end the beasts say ‘Oh, please don’t go! We’ll eat you whole! We love you so!,’ that they would threaten cannibalism to have that person – it’s a powerful image,” he added. Their song “Fitzpleasure” is the band’s most remixed song. Many artists have done dub step versions or even performed an acapella of the song. 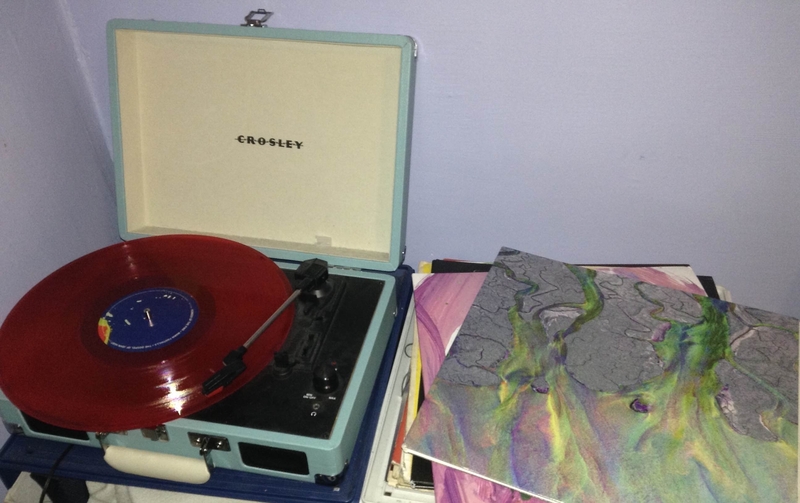 Alt-J has their two own albums along with a purely remix album and all are sold as vinyls, CDs, or on iTunes. Prices are about $20 for each vinyl and CDs and digital downloads range from $10-15. The band’s website is simple to navigate; one button leads to tickets and tour dates while another leads to all of their merchandise. Though the band does not sell much merchandise, fans can purchase albums, posters, and band clothes on the site. Alt-J deserves five out of five stars for its overall song quality and the composition of their albums; the band creates their albums in a way that the listener experiences an array of emotions while listening to the album from start to finish. The band, though the lyrics are sometimes hard to understand because of Newman’s soft slurred voice, make their point clear in each song. This entry was posted in Entertainment, Music, Teen Interest and tagged 2014-2015, AHS, Alt-J, An Awesome Wave, Attleboro High School, Grace Harvey, indie rock, review on May 29, 2015 by abeeahs. AHS teacher Mr. Jose Rodriguez, born and raised in Spain, came to America to pursue the American dream. At the University of Madrid he earned a BS in Mechanical Engineering, at Boston University he earned his MBA in business and then he earned a MS in Energy Engineering at Chicago University. After starting his career off as an engineer Rodriguez decided to go back to school to teach. 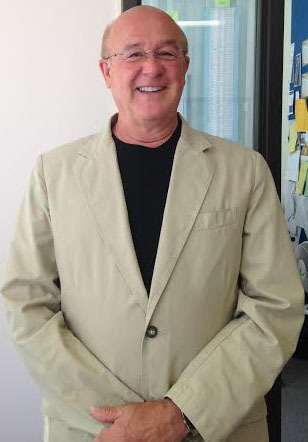 AHS isn’t the only school he has taught at; he has also worked in universities and other high schools, teaching in Boston University and as well as other countries. Rodriguez has taught algebra, geometry and Spanish, along with other subjects. After retiring from AHS, Rodriguez plans on going back into the business world, where he’s worked in the past. He plans on working in community service and work in an intercultural environment, but doesn’t know where yet. “Due to teaching, my life changed by being able to be a part of a key demographic of the U.S. that I never knew before,” he said. Rodriguez has a lot of experience with travel including countries in Central America; France, where he lived for years; countries in the Middle East; and of course his homeland of Spain. His favorite area to visit has been the Middle Eastern countries. This summer his plans include traveling to Europe, Southeast Asia and Africa. Rodriguez’s best piece of advice for students is, “Learn and practice thinking.” He encourages his students to make wise choices on their decisions in the next couple of years. Senior Shoshanna Bibeault, a former student of Rodriguez sadly said, “Surely he will be missed not just by me but by many!” In less than thirty days Rodriguez will retire and go on to the next phase of his life. This entry was posted in Entertainment, Home, In & Around AHS, Teen Interest and tagged AHS, Attleboro High School, Jose Rodriguez, Retirement, Rosa Sandoval, Teacher, Traveling on May 29, 2015 by abeeahs. Even in 2015, there is still a heated debate as to whether people of the LGBTQA+ community should have the same rights that straight people have. According to the Smithsonian about 20% of the world’s population describes themselves as gay. Silva thinks there can be more done by society to make people of the LGBTQA+ community more accepted. “Greater visibility. Visibility lends itself to familiarity and that lends itself to acceptance,” Silva said. Silva is one of the head coordinators of the Gay-Straight Alliance (GSA) club held at AHS. With dozens of students in the club and by her side, she is looking forward to making the club even better than it is now. Every year at AHS there is a campaign held by the LGBTQA+ club called Day of Silence, also known as DOS. It is a day where people in the club and those who wish to participate don’t speak at all the whole day. It’s meant to have people understand what it feels like to be subjected to silence because of who they are. “The campaign needs to evolve into something more proactive and relevant,” Silva said. 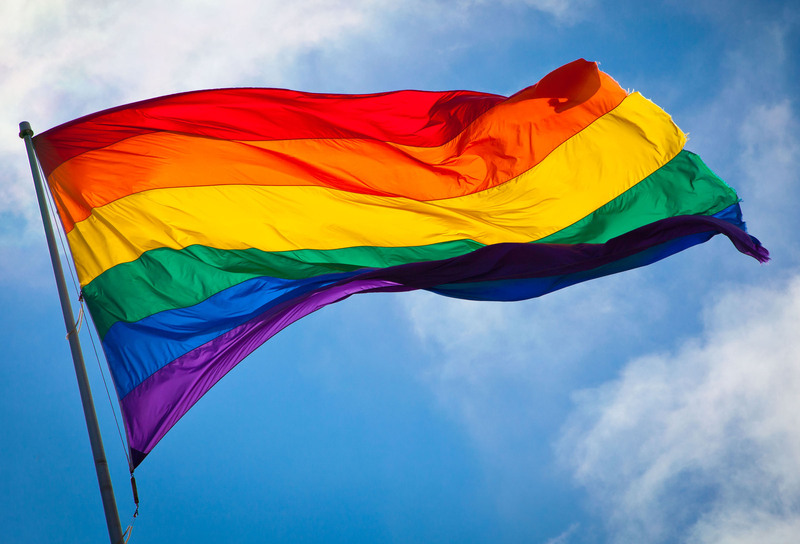 Some believe that the awareness of LGBTQA+ should be doing more to spread their word. Others believe they’re doing just enough. “It’s happening naturally and will continue to do so,” said Alisa DeLage of Quincy MA. DeLage is a proud supporter of the Gay Rights movement. “Overall, I do think there is more of an acceptance of all people as we move forward as a society. That has been displayed through history with the various human rights movements that have changed laws and transformed our country and our world,” said DeLage. “I know many people who are gay, from all parts of my life, of all ages, races, and backgrounds,” said DeLage. DeLage said that being a 29 year old woman who has lived in different states and cities in Massachusetts; she has seen the world in many different lights and has had a fair share of seeing people not being accepted. But she has also seen how the world can be so accepting. “I believe that people can be born the way they are,” said AHS senior Sierra Chauncey. Society is in a current divide as to whether gay individuals are born the way they are or choose to be this way. “I think people can become that way too. You are whatever you want to be,” said Chauncey. “I think people are a lot more accepting of gay people nowadays,” said Gloria Fournier of Norton. Seeing how the world used to be, Fournier thinks that America is on the road to acceptance of all. She sees the change. “It used to not be that way. But soon I think it will be just as normal as liking the opposite gender,” Fournier said. “I don’t think there is anything more people of the community can do. They’re displaying affection for the one they love,” said senior at AHS Jennifer Aquino. “I think it’s time people not a part of the community start to voice for the people in the community and let them know they’re not alone,” said Aquino. This entry was posted in Entertainment, Home, Teen Interest and tagged 2014-2015, AHS, Arianna Johnson, Attleboro High School, Gay, Gay rights, Human rights on May 29, 2015 by abeeahs. According to Fox News, a recent study found that 20 percent of voters, or one in five people have at least one tattoo. This is an increase of 13 percent since 2007. “I think tattoos are an art form when they’re done by other people,” said Attleboro resident Betsy Devine. “I think that tattoos can be a great thing, but I think that so many people over do it. There is a huge stigma around them. “Tattoos can mean something very special to some people. It can also be a means of getting frustration out, or just giving someone something to do when they are bored,” she said. Tattoos are becoming less and less serious in the way that Americans think about them. Many job placements are becoming much more accepting of employees with tattoos. “I plan on getting some tattoos in the near future,” said UMass Amherst junior and AHS 2013 alumni Oladipo Olaogun. Along with the tattoo debate comes the argument of who should and who shouldn’t have tattoos. “I think it’s un-lady like to cover your entire body with tattoos but I also think it’s ungentlemanly to do the same as a man,” said Olaogun. “I wouldn’t say it’s un lady like, but they have a stigma so sometimes it’s in your best interest to not get them in a visible place, because that might hurt your chances at a job in the future … male or female,” said Devine. “I feel as though it depends on the tattoo; some are intimidating,” said Attleboro resident Donna Johnson. “Both of my daughters have tattoos. My youngest has hers on a visible spot on her body and my eldest’s is not visible,” said Johnson. She added that she likes the idea of tattoos but thinks there is a time when enough is enough. “I think they should be limited and only in the case of something that has very significant lifelong importance to someone,” said Johnson. “I have a tattoo. 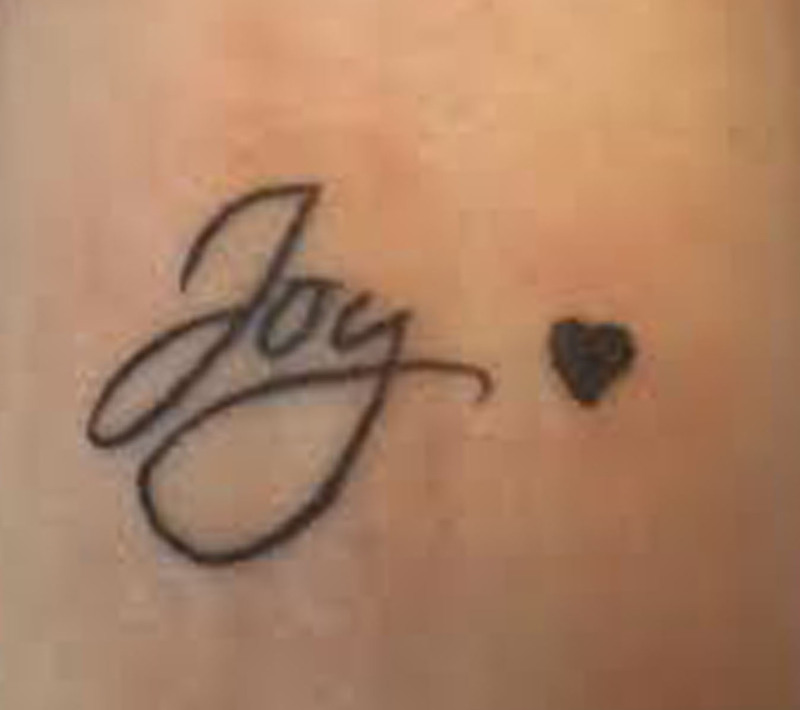 I think a tattoo is elegant. Especially when people do them with respect, they come out very nice,” said Norton resident Patty Chastenay. “I know many people with tattoos,” said AHS senior Jack Carriuolo. There is a discussion about the age limit for getting a tattoo being the same as the age for drinking. “I feel like raising the age would be stupid because we’re legal adults now (18). We make our own decisions and are responsible for our own actions,” said Carriuolo. “I feel as though a person should be mature by the age of 18. It’s now their life and what they do with it is what they want,” said Chastenay. “I know people with tattoos. I don’t support them but I support people’s judgment. I have no right to judge,” said Glen Johnson of Attleboro. With the percent of the population having tattoos increasing, tattoos may soon be a regularly accepted art form. This entry was posted in Home, Teen Interest and tagged 2014-2015, AHS, Arianna Johnson, Attleboro High School, tattoos on May 29, 2015 by abeeahs. 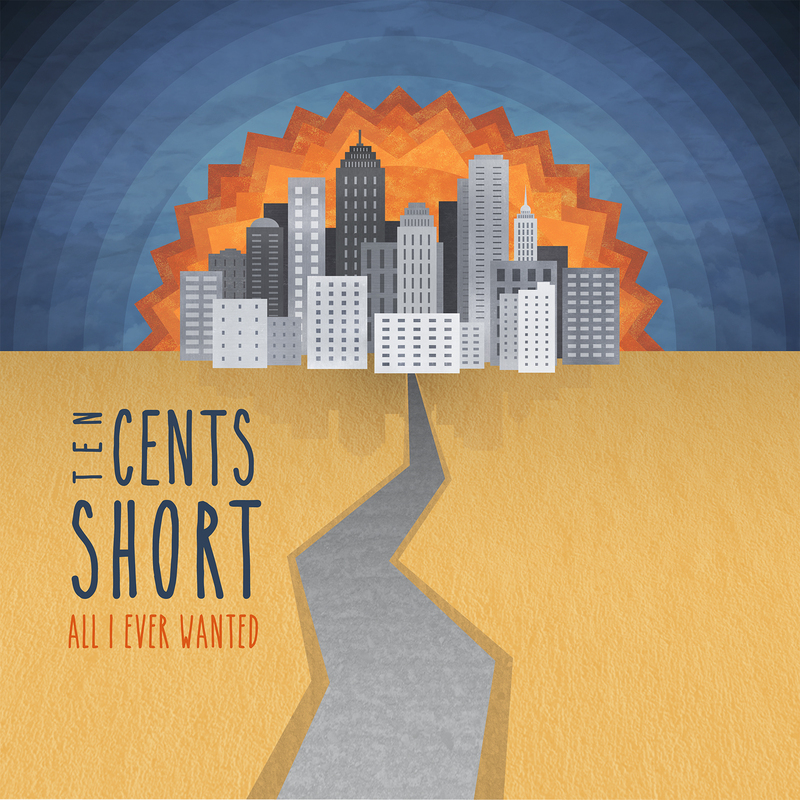 Pop punk aficionados and local band Ten Cents Short released their sophomore EP All I Ever Wanted on May 9. The group, from Somerset, Mass., set out to break the cliché mold of local pop punk band by incorporating influences as Four Year Strong, Blink-182 and New Found Glory throughout. Songs such as “Wham Bam Thank You Mam” and “Broken Habits” showcases the band’s aggressive, yet catchy playing style. The band even recorded a song from their previous EP, “Let Go,” which is a plus for fans of their previous work. In a local scene where many bands “suffer live,” whether it is due to faulty equipment or poor musicianship, Ten Cents Short shines. The group consists of Aaron Couto (Lead Vocals/Bass), Jonathan Costa (Drums), Austin Peterson (Guitar), and Phil Orsi (Guitar). The band’s members are either in high school, or in their first year of college, which makes them and their music more accessible to listeners. The group’s songs deal with issues that many young people face, like break-ups, school and authority figures. The band recorded All I Ever Wanted with Chris Piquette at No Boundaries Studios in Providence. Piquette is in local pop punk band Trophy Wives. His experience with the genre and scene really helps Ten Cents Short shine above the rest. Ten Cents Short’s work on All I Ever Wanted earns it five out of five stars. The band shows musicianship and professionalism beyond their age in all things they do and are sure to be a huge success. This entry was posted in Home and tagged 2014-15, AHS, All I Ever Wanted, Attleboro High School, Charles Arnaudo, Music, review, Ten Cents Short on May 28, 2015 by abeeahs.